LinkedIn is one of the best ways to promote your professional products and services because, quite simply, it was created just for that. Well, it was created as a networking tool, but in the world of business networking, a little self-promotion and sales are never far behind. No matter the industry you're in, if your livelihood and business revolve around selling professional services, LinkedIn is the network of your dreams. 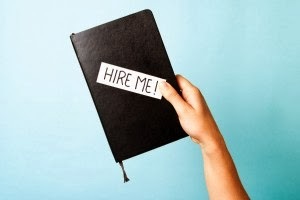 And no, it isn't just a resume placeholder, nor is it a place only for recruiters. With a few little tweaks, and a customized LinkedIn strategy, you could be sitting pretty while the leads and sales come a' knocking. Sounds good, right? If you need a little more sweetener, let me list a few statistics that might change your mind. Your profile is very important, as it is the first thing people will see when they come across you. If you have optimized it well —and by "well," I mean for your industry—you're likely to see an increase in people viewing your profile. If your experience and skill set is of interest to the viewer, you are one step closer to building a business relationship. Many businesses and professionals are in a visual industry. Until recently LinkedIn was very text heavy. But with the visualization of the social web, LinkedIn also became more visual. Given that we're constantly looking for ways to stand out from the other 200 million users on LinkedIn, the use of visual content can turn your once boring black and white profile into one designer-friendly profile, with a rainbow of colors. Plus, it gives you the opportunity to showcase the work you've done in the past. The number one way to be social is to share. I think it is most valuable to have your own content to share. (Cue in the "blog" drum roll.) You can share within your company page, your personal profile and groups. When you share content that drives readers back to your own site, you are not only sharing your expertise and building your authority with the network, you are also increasing the odds of gaining a lead. LinkedIn is a social network, so be social. That means connecting with people who are interested in the services you provide and begin to build relationships there. LinkedIn, and social media in general, are about building relationships. If you want others to help you promote your services, it's probably a good idea to start promoting theirs. Your LinkedIn strategy will be one of the most powerful lead generation tools out there. If you want it to work, you must think about your audience and who you want to connect with. Talk to them, they are your target. There is nothing worse than a social media ghost. Don't promote heavy, introduce yourself to a lot of people and then just run away. That isn't going to get you anywhere. In fact, you'll just loose the interest you garnered. If you are reaching out to someone to let them know what you do, make sure it fits what they do. Oh, and make sure you address them by their name. LinkedIn advertising is really effective, because it's highly targeted. Test it out and decide whether it's a good fit for you. Your company page allows you to promote your services and products to it. Here is my advice on that topic.